Private two acres gated fence. 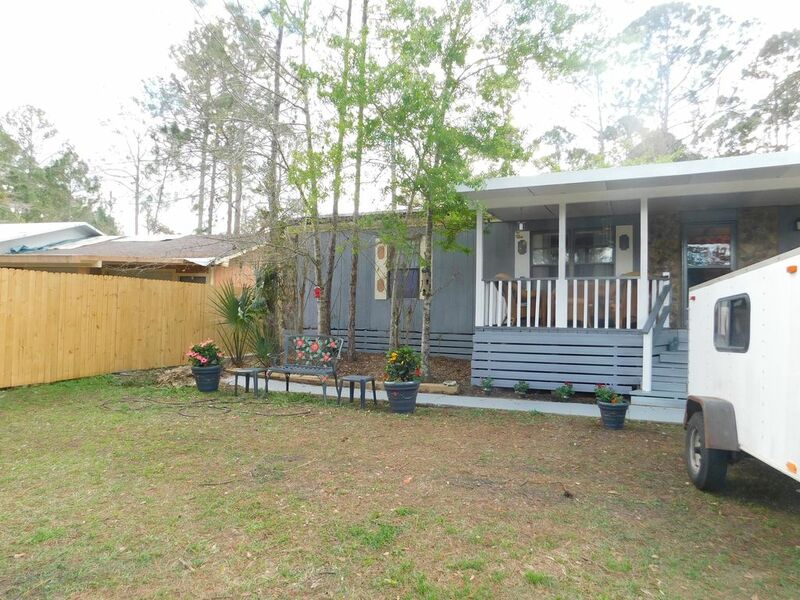 2-3 bedroom, 2 bath manufactured home. Front porch & back screened in porch. Guest bedroom has twin beds and bath. Can bring your dog, horse or ATV and do all the trails in the forest. Approximately 400,000 acres of forest. Activities: /B BR The 'Ranch' is located just feet away from Ocala National Forest, nearly 400,000 acres to explore. Trails for hiking, horses & ATV all within steps from our home. St.Johns River only one mile away. This is the oldest national forest east of the Mississippi with the largest stand of sand pine in the world. Swamps and flatwoods where you will find old cypress. This habitat is home to so many endangered species. Bring your camera.... hiking, hunting, fishing, horse backriding & ATV trails go on forever. Canoeing is extremely popular, snorkeling in our many famous natural springs - all make this an extremely unique part of Florida. This home lies between St Johns River and the Ocala National forest. Fishing , hunting and the natural Springs are a great attraction.